Data-driven intelligence is key to the next-generation organisation, according to Sephora Asia’s head of business intelligence. But in order to get there, employees not only need to have access to data; they also need to be able to interrogate it effectively. 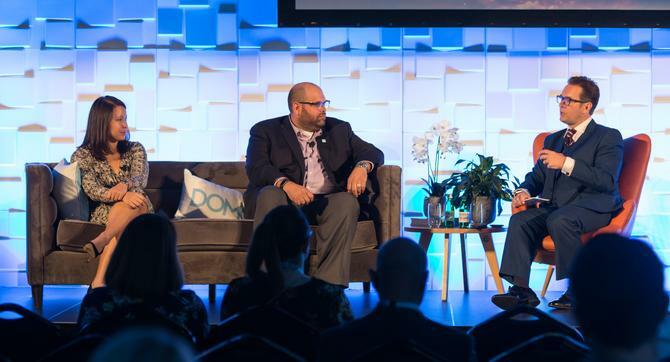 Speaking at this week’s Domo City Tours event in Sydney, Christel Bouvron took attendees through the make-up retailer’s two-year journey to build a data-driven organisation off the back of Domo’s data reporting and analytics platform. The initial software rollout was triggered by the need to better track sales in real-time during the annual Black Friday one-day event in 2016, Bouvron said. Sephora Asia gave Domo just two weeks to provide a solution that would help it to measure where sales were compared to targets across the eight markets it operates in. “We added things around inventory, because in a one-day sale, you have inventory going down every time someone purchased, and we didn’t want our paid channels to advertise products going out of stock,” Bouvron explained. “We also measured traffic over hours. This was powerful, especially for marketing, because we were not advertising products that weren’t then available. “With any big sale day, we always had stock problems around very popular products, so we didn’t want customers to be upset with us by not having that eyeshadow palette available. Last year, Sephora expanded to an omni-channel view of retail performance, bringing in in-store data. The move coincided with the exclusive launch of Rihanna’s Fenty range in Q3 and allowed the team to show daily sales across every store. “This was a huge game-changer, especially for the retail side of the business – they knew at a deep granular level, of every SKU, what was selling well in each store,” Bouvron said. Today, Bouvron’s sights are firmly set on ensuring the whole organisation is data intelligent, from the 500 employees at HQ, through to those working across its 300-store network. “Organisational intelligence is the next generation of organisation,” she continued. “But if you look at our business… I have a team of five people. If that analytics data capability just sat in my team, we are a little bit screwed. “A truly data-driven organisation means every person, from the store managers to junior marketing executives, knows what metrics they should be tracking and the levers to their KPIs. So every morning, they know what their priorities for the day are. Getting to this point wasn’t without its challenges. One was the IT function. “IT typically has been a bottleneck,” Bouvron admitted, adding Domo’s cloud-based platform provided a way to bring together disparate data sets without the need for setting up enterprise data warehouses. The second hurdle was getting people to move away from the old way of doing business. “In China especially, people are very used to Excel files and initially they wanted us to put those Excel files into Domo. That’s not the point of it,” Bouvron said. “We had to find balance between making the transition easier for them and getting to the new. For example, we started with tables, then added in visualisations then started removing tables. Bouvron suggested three strategies furthered data-driven decision making. The first was starting with the business and people, an approach that was based on the way Sephora as a retailer is structured. Third was a deliberate rollout strategy from the BI team to build champions across the business who would influence others. Bourbon’s team has also created a portal, called Domo Discovery, where people can discover what’s new, and what colleagues are looking at. Ultimately, quick access to data insight is helping Sephora Asia to engage in more efficient decision making, Bouvron said. This could be a new store launch and understanding potential cannibalisation, or quickly gauging a new marketing campaign’s impact.